Get your logo on the Koozie 36 Can KING Promotional Cooler. Apps are giveaways, resorts, food service, promotional items. 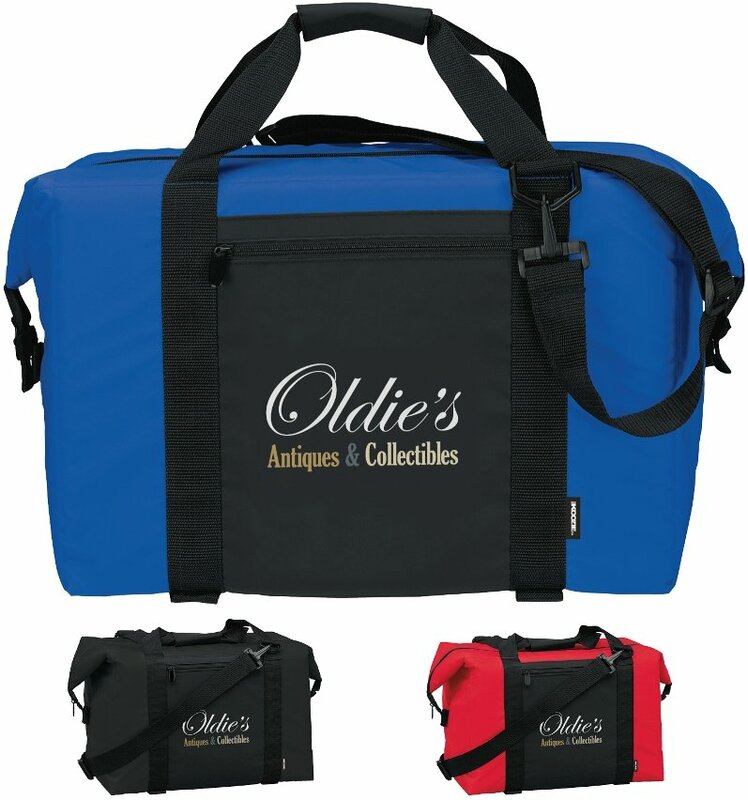 cans plus ice, front pocket, shoulder strap, carry handles. Frigid Ice Pack, $.79 each, order in lots of 36 ice packs. You MUST order the cooler lots of 6 units over the min. Delivery from date of order for product is 2 to 3 weeks. Rush Production no extra charge w/ one color print. Price includes a one color imprint on front area 5" w x 6" h.